Pulitzer Prize-winning Forrest Gander is a poet, writer, translator, and editor of several anthologies of writing from Spain and Mexico. He is celebrated for the richness of his language and his undaunted lyric passion. He is the author of more than a dozen books, including collaborations with notable artists and photographers. Concerned with the way we are revised and translated in encounters with the foreign, his wide-ranging poetry volume Core Samples from the World (2011)—a collaboration studded with the work of three great photographers, Graciela Iturbide, Raymond Meeks, and Lucas Foglia—was a finalist for the Pulitzer Prize and the National Book Critics Circle Award. Ganders other collections include Eye Against Eye, with photographs by Sally Mann; Torn Awake; and Science & Steepleflower. A translator of international renown, Gander’s translations include Alice, Iris, Red Horse: Selected Poems of Gozo Yoshimasu; Then Come Back: The Lost Poems of Pablo Neruda; Fungus Skull Eye Wing: Selected Poems of Alfonso D’Aquino which was longlisted for the PEN Award for Poetry in Translation; Pinholes in the Night: Essential Poems from Latin America (with Raúl Zurita); Watchword, the Villaurrutia Award-winning book by Mexican Poet Laureate Pura Lopez Colome; Spectacle & Pigsty (with Kyoko Yoshida), selected poems by contemporary Japanese poet Kiwao Nomura, which won the Best Translated Book Award for 2012; Firefly Under the Tongue: Selected Poems of Coral Bracho, which was a finalist for the PEN Translation Prize; and (with Kent Johnson) The Night by Jaime Saenz. In 2008, Gander was named a United States Artists Rockefeller Fellow, one of 50 artists to be recognized for artistic excellence, unique artistic vision, and significant contributions to their fields. Gander is also the recipient of fellowships from the National Endowment for the Arts, the Guggenheim, Howard, Whiting, and United States Artists Foundations. He has been a Library of Congress/Witter Bynner fellow and a finalist for the Pulitzer and National Book Critics Circle awards. Gander was a Briggs-Copeland Poet at Harvard University before becoming the A.K. Seaver Professor of Literary Arts & Comparative Literature at Brown University where he taught with his wife, the poet C.D. Wright, for more than twenty years. He lives and works now in Petaluma, California. 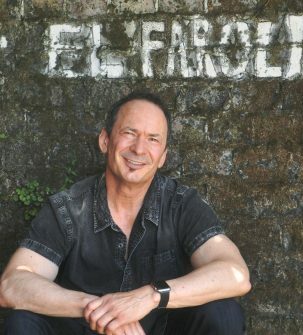 Forrest Gander is a writer, translator, and editor of several anthologies of writing from Spain and Mexico. 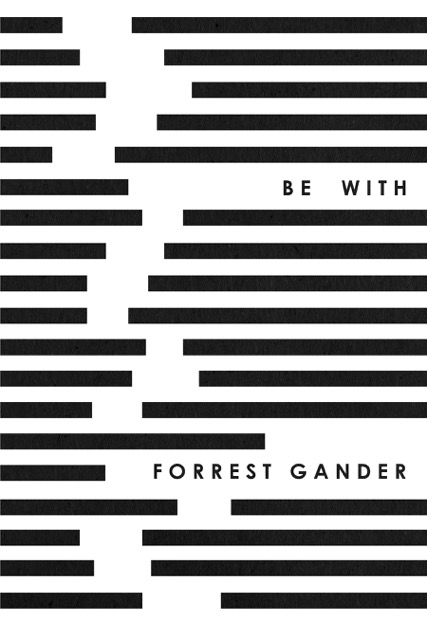 Be With, Gander’s most recent collection, was longlisted for the 2018 National Book Award. His 2011 poetry collection Core Samples from the World was a finalist for both the Pulitzer Prize and the National Book Critics Circle Award. His other books include two novels, As A Friend and The Trace; the poetry collections Be With, Eye Against Eye, Torn Awake, Science & Steepleflower; and the essay collection Faithful Existence: Reading, Memory & Transcendence. Gander’s essays have appeared in The Nation, The Boston Review, and the New York Times Book Review. He is the recipient of fellowships from the Library of Congress, the National Endowment for the Arts, the Guggenheim, Howard, United States Artists, and Whiting Foundations. Yoshimasu Gozo is one of the most prominent figures in contemporary Japanese literature and art. His creative endeavors have spanned over half a century since the publication of his first book of poetry, Shuppatsu (Departure). Much of his work is so unorthodox it defies the print medium. Since the late sixties, Gozo has collaborated with visual artists and free jazz musicians. In the late eighties, he began creating art objects that featured words engraved on copper plates and later produced photographs and video works. In Alice Iris Red Horse, the poet Forrest Gander has gathered translations of Gozo’s major works that represent his entire career. Also included here are illuminating interviews and reproductions of Gozo’s artworks and performances. Pablo Neruda’s lost poems—recently discovered in his archive to the delight of readers and scholars—comprise this remarkable and essential volume. Originally composed on napkins, playbills, receipts, and notebooks, Neruda’s lost poems are full of eros and heartache, complex wordplay and deep wonder. 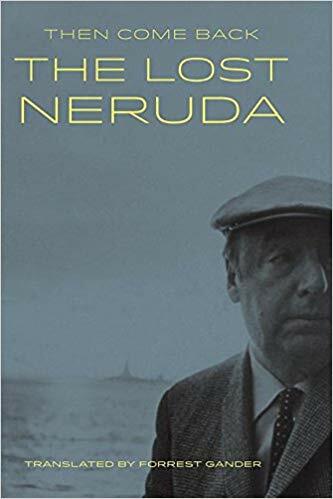 Presented with the Spanish text, full-color reproductions of handwritten poems, and dynamic English translations, Then Come Back: The Lost Neruda simultaneously completes and advances the oeuvre of the world’s most beloved poet. In her most recent book, Watchword—the winner of the Villaurrutia, Mexico’s most esteemed literary prize—acclaimed poet Pura Lopez Colome writes of life at its brink with fierce honesty and an unblinking eye. This work shares the darkness, intensity, and skeptical hope of Thomas Hardy’s great poems. Like them, Lopez Colome’s poems have flashes of secular mysticism, sparked from language itself, which generate unforgettable passages and give voice to a world familiar and odd, wounded and buoyant. In the energy and intensity of her work and in her exhilarating words, we discover both a line of conduct and the source for a richer life. This bilingual edition features the poems en face in Spanish and English. “Heroism is a secondary virtue,” Albert Camus noted, “but friendship is primary.” In his gemlike first novel, Forrest Gander writes of friendship, envy, and eros as a harmonic of charged overtones. Set in a rural southern landscape as vivid as its indelible characters, a friend tells the story of Les, a gifted man and land surveyor, whose impact on those around him provokes intense self-examination and an atmosphere of dangerous eroticism. With poetic insight, Gander explores the nature of attraction, betrayal, and loyalty. What he achieves is brilliant in style and powerfully unsettling. Born in 1951 in Mexico City, Coral Bracho has published seven books, including the groundbreaking El ser que va a morir (1982), which changed the course of Mexican poetry. The prominent Mexican poet David Heurta wrote: “The secret of Coral Bracho’s poetry, its prodigious originality, can be traced to its tendency to surge like a living voice, a silky impetuous torrent.” Coral Bracho’s poems explore the sensual realm where logic is disbanded, wonder evoked. Containing poems from all her groundbreaking collections in Spanish, Firefly under the Tongue is the first book in English by this most important and influential living poet. A Faithful Existence is a thrilling, lyrical exploration of what it means to be faithful in the act of translation, in scientific and spiritual inquiry, in philosophies of perception, in friendship, and in poetry. Sensual, erudite, and operatic in scope, these essays pay homage to the landscape of the American South, to snapping turtles and anti-particles, to iconoclastic physicists and writers from various countries and epochs, to visionary poets and to poetic hoaxes. Forrest Gander pops the hood of the standard-issue essay and hotwires it for the twenty-first century, re-tuning compelling associations and vivid bursts of insight into the quality of immediate experience. He connects with an ethical vision, a bodily consciousness, and a mode of language that might help us to survive the streams of data, the discombobulating media, and the predatory march of “information” that defines our age. You have the eyes of —. I was speaking to the bird on the low branch. but he pishes-in real well. My get up and go done got up and gone? Something my mother used to say. long enough to close it. in your lap as you stroked my ears. She knocked on the bathroom door. He was just reaching for the roll of toilet paper on the floor when something happened. A reverberating collision and a seasick feeling at once. The toilet quivered under his thighs as the walls rattled and the front door—it must be the front door—cracked, splintering as though a tree had crashed through it, but there were no trees in the yard. He began to rise from the toilet into something awful, into a new sound, into the rising decibels of the woman screaming from the living room. Bent over still reaching for his pants, he knew there would not be enough time to pull them up. He was aware of every facet of the bathroom then, as though he had been studying it for escape routes for months. The canary-yellow plastic curtain drawn halfway across the tub. The rusted showerhead releasing its slow, incurable drip. The colourless bath mat with its frayed, dirty edge folded up. The dingy rattan clothes hamper. The stale towel hanging from a nail in the door. And to his right, above the sink, a red hand towel limp on its clear plastic ring over the soap dish. The sink was set in a water-warped cabinet with a louvred door. Neither Jewish, Christian, nor Buddhist, when I write I am cloistered, nevertheless, in my own imagination. The basic gesture of my writing is a listening. Perhaps this attitude resembles that of the religious. But my credal source is worldly. Faith, for me, derives from the most common revelations. What is stands suddenly more revealed. Yet, like Edmund Jabés, I have found no Truth but truths and interrogative, no reality but feeling and interpretation. We shall all be changed, the Bible promises, though for most of us it is momentary. Love unseats us, but we thread ourselves slowly back into the dull wood of our egos. It is hard to sustain a constant awe, as Lao Tzu importuned, and so tragedy befalls us. We fail to construct a lifelong state of wonder. And yet artistic and spiritual endeavors inspire our efforts to do so, as though the efforts themselves were all important. Poetry can be an ecstasy of words spindling perceptions. The meaningful dialogue between the poem and the reader is as much a sacred manifestation as I hope to encounter. It’s a barren feeling to know at the age of twenty-five that you’ve already lived the most intense period of your life, that a vividness has blazed up and short-circuited something in you and you will remember what it felt like to be alive but not feel it again, and you won’t even want to remember, can’t bear it, it’s too ploughed with guilt and pain. It seemed all of a sudden like a wind had slacked off and I was left leaning off-balance in a world something considerable had passed through. Once I had choices. Then it was as if my life leaped out of my body.